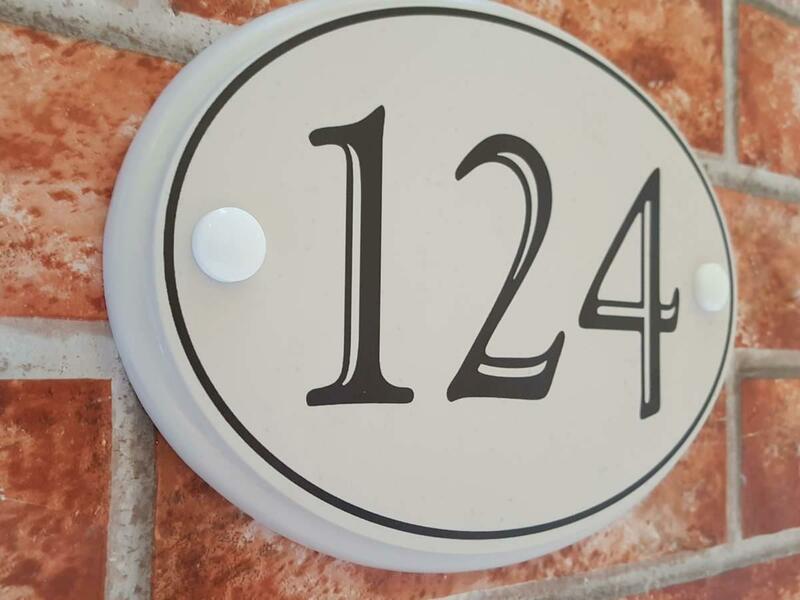 White oval shaped home number sign with larger number digits and outside outline. 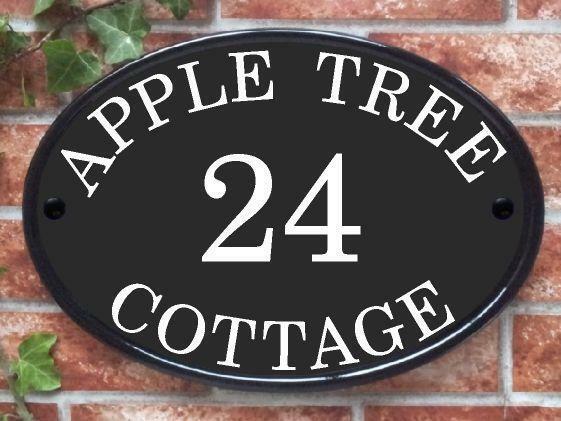 Available in several font styles for the house number this plaque features a 2mm outside key line. 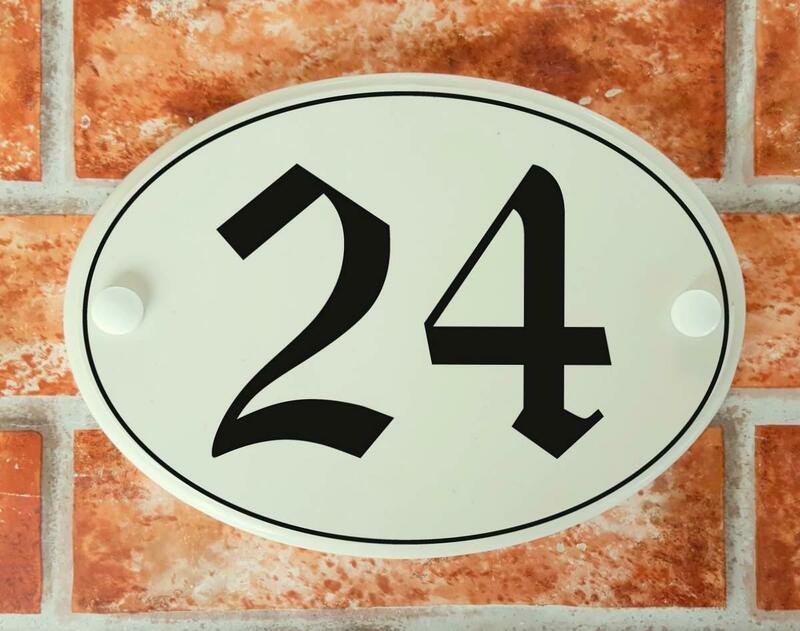 The numbers and outline are printed by our state of the art UV resin ink printer which prints permanent & scratch proof numbers directly on the sign. These signs are made for outdoor use. 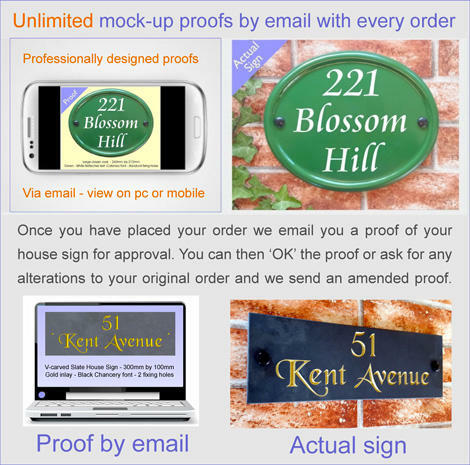 Fix to your home's brickwork, fence, posts or free standing on stakes. 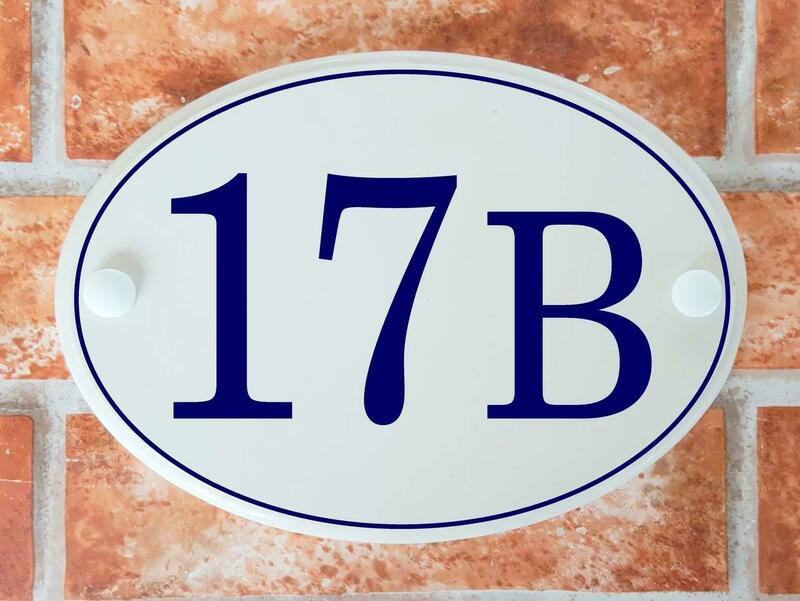 The oval base plaque is a solid casting of cultured marble and measures 210mm wide by 140mm high by 12 mm thick. 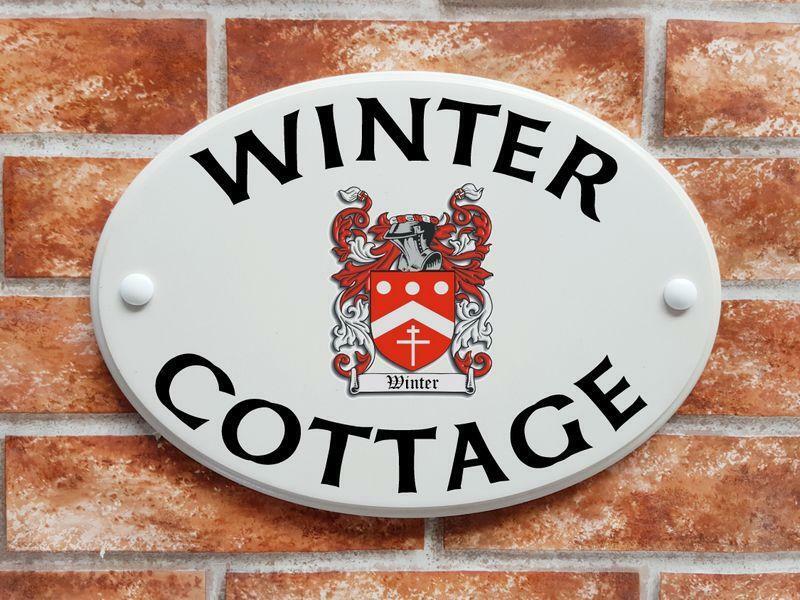 It has an overall ivory / cream appearance with small random darker flecks scattered within the surface of the plaque. Cultured marble is completely weatherproof. 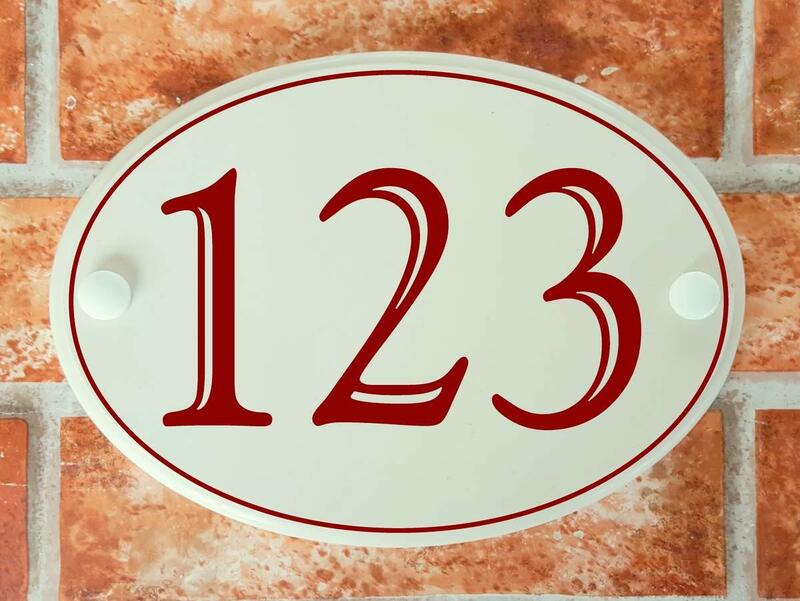 The plaques are ideal for displaying your home's house number clearly in good sized number digits, for instance the example showing the ruby red house number 123 has 77mm tall digits - just over 3 inches tall. 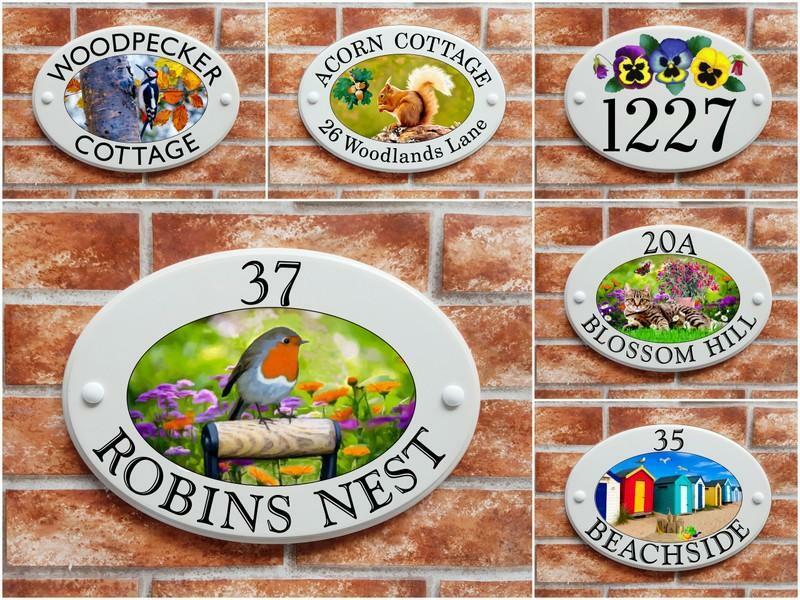 We offer black, blue, green or ruby red coloured lettering and numbers.